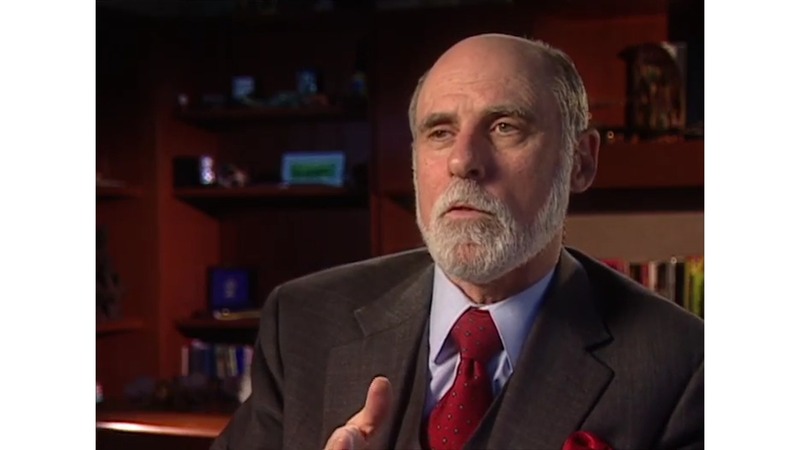 When internet pioneer Vinton Cerf was 10, he was working on advanced math, and by the time he was 17, he was tinkering at programming at UCLA and beginning a lifelong "love affair" with computing. Today, Cerf, known as the father of the internet, says software bugs are among the biggest dangers to enterprise IT and warns of the mounting challenges the IT community must face in what he calls the "digital dark age." Widely recognized for his contributions to technology, Cerf, 73, was awarded the U.S. National Medal of Technology for co-founding and developing the internet. He also was the recipient of the Presidential Medal of Freedom, the A.M. Turing Award and 29 honorary degrees. Through the years, Cerf has been on the faculty of Stanford University and was a principal scientist at DARPA, the Defense Advanced Research Projects Agency. At other times in his career he was a systems engineer at IBM and a senior vice president at the former MCI. He is now vice president and chief internet evangelist for Google. Computerworld spoke with Cerf as part of its 50th anniversary of covering the tech industry. The following is an edited version of reporter Sharon Gaudin's interview with Cerf, in which he talks about the tech events that have most surprised him, his biggest accomplishment, what worries him and what he expects to come in future technologies. Were you a Computerworld reader back in the day? Yes. In fact, I’ve even received a few [IDG] awards and a plaque or two (IDG is the parent company of Computerworld). Computerworld was actually a pretty well regarded publication, covering a broad range of topics. If you think about 50 years ago, there weren’t that many [tech publications]. Computerworld was early in the publication cycle. How did you get into computer technology? I was always interested in science and math from a very early age. When I was 10, I was in fifth grade doing seventh grade algebra. We were blowing things up with chemicals you can’t really get today. By the time 1958 rolled around, my first exposure to a large-scale computing system was Sage at System Development Corp. in Santa Monica, Calif. It was basically … using radar in northern Canada to try to track Russian bombers coming over the pole. It was so big you had to walk inside it to use it. Two years later, while still in high school, my best friend and I got access to the computers at UCLA. That was the beginning of my love affair with computing. My friend and I were programming that machine to do different mathematical calculations. What were your goals in tech? The thing that was the most attractive was that you could create your own little world inside the computer, and it would do what you wanted it to do. I found that ultimately beguiling… Something that would happen in a machine in one place caused something to happen thousands of miles away and that was very interesting, too. Like a lot of engineers, I liked solving problems… For a significant part of my career, people proposed problems they needed to be solved. Creating the internet was a problem posed by a colleague. Do you think that was your greatest accomplishment? No. Getting it turned on was a big deal. Keeping it running for the last some odd years was an even bigger deal. Protecting it from hostile governments that want to shut it down and supporting new applications at a higher capacity are all evolutions. The evolution continues… I don’t know if I can point to anything and say that’s the biggest accomplishment. It’s one big climb up the mountain. What’s the next big thing coming down the road? The biggest thing on the current horizon is the internet of things. While there are all kinds of benefits associated with that, there also are a lot of risks. We see the headlines about these kinds of devices being attacked by hackers. There are all kinds of issues of privacy and safety and security. There’s also A.I. and machine learning. We are finding all kinds of powerful ways of applying those technologies. But I worry about turning over too much autonomous authority to a piece of software. Do you have fears about artificial intelligence? No, not like Stephen Hawking or Elon Musk, who are alarmists about artificial intelligence. Every time you use Google search or self-driving cars, you’re using A.I. These are all assistive technologies and I suspect this is how it will be used. What are some of the biggest changes you’ve seen in technology in the past 50 years? We’ve gone from the integrated circuit to chips that have 14 billion transistors. The feature sizes are down in the single digit nanometers, which is simply unbelievable. We’re at the point where the density and yield of these chips is beyond anyone’s expectations. And the development of quantum computers. We’re pretty confident the hybrid quantum and traditional computer will yield significant results. What have been some of the biggest surprises that you’ve seen? The biggest surprises have been with the neural network. A 150-layer neural network is pretty astonishing. When using the neural network to detect diabetic neuropathy, computers did better than experts did. What’s the biggest issue facing IT today? The biggest issue right now has to do with software that has bugs. This is a serious problem because for all the 70-plus years of writing software, no one has been able to do it without writing bugs. We really need tools to help programmers avoid making mistakes. What will be IT’s biggest problem in another 10 years? It’ll be the same damn problem. I don’t think we’ll solve the bug problem in another 10 years. I wish I could say otherwise. I hope I’m wrong about that. In the meantime, we’ll be using artificial intelligence programs to try to detect if other programs are doing something they aren’t supposed to do. Kind of an amusing idea to set a computer to watch another computer. What worries you going forward? The obvious thing that worries me is malware and other abusive behaviors, like denial-of-service attacks and penetrations. All those bad things are the result of people who don’t have your best interests in mind. People haven’t changed. That’s why we still like Shakespeare. People have found new ways of being harmful and we have to invent both technical and legal means to limit the damage they can cause. What’s the most important invention or advancement that has come out of DARPA? My favorite one would be the internet, though I’m obviously biased. They have done some extraordinary work with robotics, especially in the area of prosthetics. They also have made significant contributions in computer security and have long been supporters of artificial intelligence. They were in on that game more than 50 years ago. What do you see for the future of the internet? We’re looking at the digital dark age. We’re generating huge amounts of digital content all the time. We’re tweeting and blogging and taking photos and making spreadsheets and making movies. To see them or interact with them, we need software. Will that software be available 100 years from now or 500 years from now? I worry 100 years from now our descendants may not know much about us or be able to read our emails or tweets or documents because nobody saved them or the software you need to read them won’t exist anymore. I have files of text that were written 20 years ago in WordPerfect, except I don’t have WordPerfect running anywhere. We have a lot of work ahead of us to preserve digital content over a long period of time. Finally, what is ahead of us that you are the most excited about? I’m not excited that I probably don’t have another 50 years left, unless Ray Kurzweil’s predictions come true, and I can upload my consciousness into a computer.